Vtail’s patented flagship model and highest ROI machine. *OAC. Subject to partner terms. Contact Sales for exact payments. Vtail’s patented flagship model and industry bestseller for 7 years. Integrated left and right side towers as well as the center delivery system allow for a large selection of merchandising utilizing 3 different Vtail product mixes displaying 50+ selections. With the machine’s WINNER EVERY TIME technology your entire inventory sells at the same pace assuring 100% sell through. Each side tower is outfitted with Vtail’s proprietary electronic display boards allowing for whenever the machine is plugged in an impressive effect of over 150 flashing LED lights. 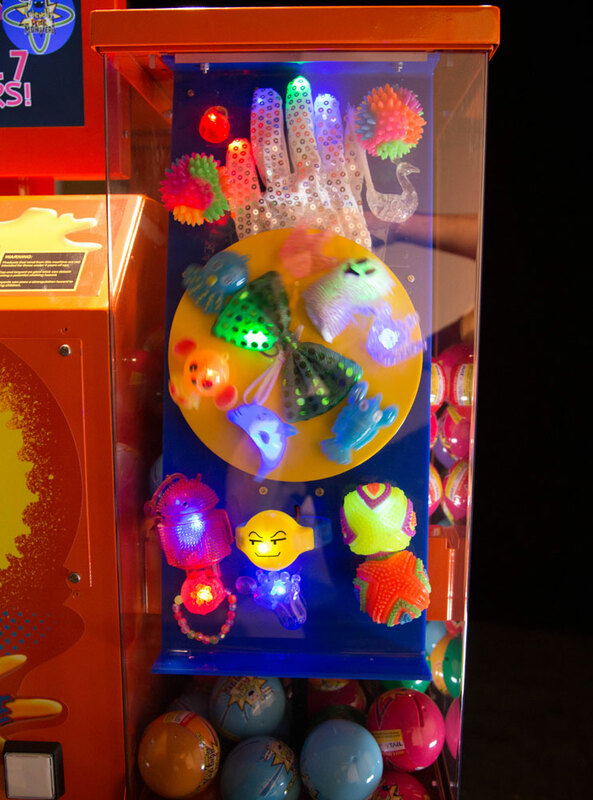 Laser cut “Splash” display seen center bottom with specialty tube lighting draws attention to the varied size and color (chemical luminescence) Glow Stick Necklaces. The built in HD video monitor showcases an auto play “commercial” showing passers by footage on the fun you can experience with the prizes out of the machine as well as higher end prizes through Web Vend Technology. 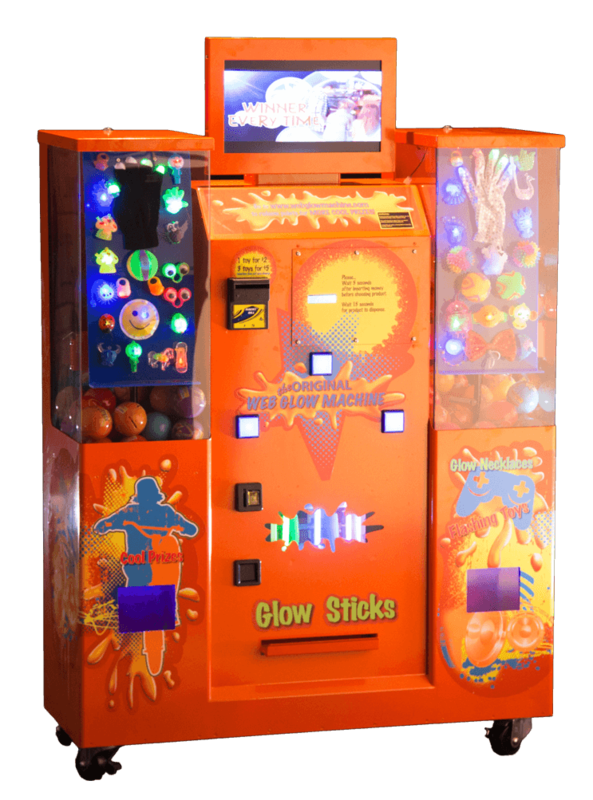 While only using 4 square feet the Web Glow Machine has got tremendous presence that grabs a lot of attention on location. VTail’s highest ROI machine.